Hype is growing about the social media website Pinterest, with much fanfare after it passed 10 million users in record time. But what is actually on this online pinboard? There's still a healthily high percentage of people who have heard nothing about Pinterest, but its meteoric rise is exciting social media experts and marketing analysts. Nearly 12 million users from the US and UK flocked to the virtual bulletin board in January to pin up pictures of their favourite things. Pinterest allows users to curate collections of images from across the web under different "boards" or categories. If a photo strikes a user's fancy, they can repin it - Pinterest lingo for posting it - to their own board with a few clicks. The site has already been satirised as being largely dominated by pictures of cute kittens and elaborately conceived cupcakes. Pinterest does not respond to media inquiries, but it's possible to use Google's DoubleClick Ad Planner to examine both the user demographics and their main interests. It has already been noted that the site is overwhelmingly female. More male-oriented pinboard sites - like Manteresting and Gentlemint are already springing up. According to Google Ad Planner, in January 2012 Pinterest's US audience was primarily interested in fashion, arts and crafts, recipes, seasonal events and holidays, and interior design. These topics reflect the most popular pins and Pinterest's demographic. Females account for 68% of the site's visitors worldwide and a whopping 85% of the activity, according to Andrew Lipsman, ComScore's vice president of industry analysis. In the UK, the demographic picture is different with a mostly male audience, apparently interested in a very different agenda - including web stats/analysis and blogging services. But it's been suggested that "early adopters" are dominating in the UK and that that will shift over time. People scouring the web for fashion are nearly 11 times more likely to gravitate toward Pinterest than the average web surfer, according to Google Ad Planner. One glance over Pinterest's "Popular" page will quickly attest to the topic's prominence among the Pinterati. Take, for instance, a pink and white, one-shoulder dress pinned on Meghan McCabe's "Get In My Closet Right Now" board. The photo was repinned more than 4,000 times. Pinterest's photo-rich platform contributes to the popularity of fashion pins. Users "follow" their friends' fashion finds, cherrypicking their favourite items and repinning them to their own pinboards. Pinterest provides users with a place to curate their image, according to Josh Constine, a technology journalist for TechCrunch. "Pinterest has struck a chord with people's desire to portray their identity in a more stable fashion than content streams like Facebook and Twitter," he says. 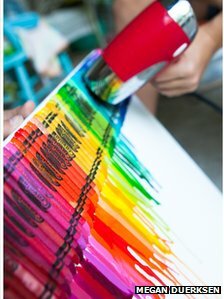 From tin-can lanterns to scented rice heating pads and melted Crayon artwork, Pinterest is a cornucopia of crafts executed or appreciated by people with time on their hands. Some users are looking to crochet a steering wheel cover or transform an old pillowcase into a scandalously short sundress. Pins range from the mundane to the zany, but the most popular tend to be those people haven't heard of before. Unique and strange things on the site tend to go viral quickly, according to Rob McNair, a social media strategist with mycleveragency. "It's a discovery tool and the products that get shared are the most unique products," he says. The site inspired him to purchase a Star Wars R2-D2 rubbish bin for his office. "I would have never thought for a second to Google that," he says. Images of melting snowman cookies and a stack of brown butter, bacon and chocolate chip cookies generated more than 15,000 repins each. Both recipes landed on the "10 Most Repinned Items" list, according to PinFaves.com, a Pinterest fan site. From gooey brownies to perfectly pan-seared steaks, food imagery pins abound. 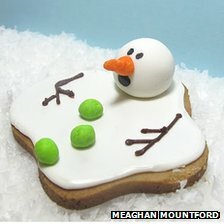 One reason for the popularity of edible items is their photo appeal. Pictures beat words on Pinterest. "Pinterest is primarily visual so abstract concepts don't carry as much weight, anything that you have to explain is less likely to become popular," says Constine. Whereas "things that can be represented with a single image" tend to do well, he says. "A picture of the dress is the dress; a picture of a gorgeous cupcake is the cupcake." Events and holidays are another big topic for pinners. 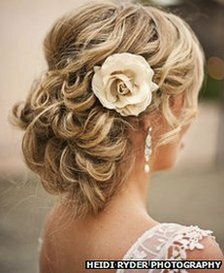 From weddings gowns styles to Easter table settings, pictures of special events crowd Pinterest's "Popular" page. Pinners create boards dedicated to weddings, the arrival of a new baby, vacations and seasonal holidays. The site's format is particularly popular among women planning such events, says Lipsman. "When you're planning a wedding there's a lot of cutting out dresses, decorations and flowers and putting those in folders and scrapbooks so you can have your dream wedding. "I think that Pinterest enables you to do something like that very simply," he says. 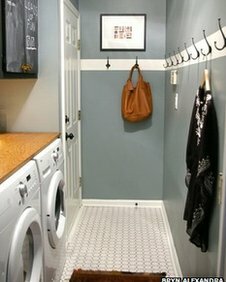 The "Epic Closet" landed on PinFaves.com's "10 Most Repinned Items" list with 28,857 shares. The closet has carefully partitioned shoe shelves, racks of designer clothing and separate handbag compartments. A slew of home design pins capture users' romanticised realities. Under an image of a lakefront patio with beige and white furniture, Javier Ibanez Gonzalez writes: "I only want a house like this... is it too much to ask?" The same image inspires Yvette Ramo: "I don't need this. I want it! In my dreams." Boards like "Living the Dream (House)","Casa Perfecta" and "Why doesn't my house look like this?" offer a pinboard window into their curators' model worlds. "Pinterest isn't about the things that you have, it's about the idealised life you'd like to live," Constine says. Unlike other social media sites, such as Facebook and Twitter, Pinterest doesn't emphasise what users did or are doing. Instead, it focuses on a person's long-term aspirations and interests - such as their dream home. "Pinterest models the way we decorate our homes in that we don't display the latest photographs that we've taken in the picture frames around our houses, we show our favourite photographs of all time," Constine says.